Welcome to Richmond Therapy, a safe and confidential space to explore whatever is troubling you. If you are struggling to cope with life, are anxious, depressed or dealing with personal difficulties talking to a therapist can help to work things out. I am a professionally qualified psychotherapist registered with the British Association of Counselling and Psychotherapy (BACP) with many years experience of working with individuals in 1-to-1 counselling and psychotherapy. 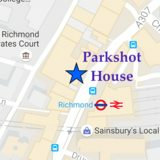 I am available for appointments during office hours from my consulting room at Richmond Therapy Space in Parkshot House, directly opposite Richmond station. The consulting room is fully wheelchair accessible and offers a light, calm and peaceful location in the heart of Richmond, with easy access to all local transport links.